Rachael Johnstone questions New Brunswick’s infertility Special Assistance Fund in light of its abortion policy. Following in the footsteps of Ontario and Quebec, New Brunswick Health Minister Ted Flemming recently announced the government’s $1 million commitment to establish a fund to offset the cost of in vitro fertilization (IVF) or intrauterine insemination procedures for infertile couples. New Brunswickers who qualify are eligible for a one-time grant of $5,000, or 50% of the cost associated with their treatment, whichever is less. No policy outlining the nature of acceptable treatments (for instance, the number of embryos that can be implanted) has accompanied this announcement. This move could be seen as expanding the reproductive choice of individuals struggling with infertility. However, when evaluated in the context of the provincial government’s failure to repeal a highly controversial regulation that creates significant barriers to abortion access, it suggests a troubling view of women and their reproductive rights. In many respects, New Brunswick’s policy is similar to Ontario’s. Ontario announced plans to launch a program in 2015 to cover some of the costs of one single-embryo IVF cycle, excluding drugs. In contrast, Quebec’s provisions are much more substantial. The first province to provide coverage for IVF in 2010, Quebec now provides coverage for 3 to 6 IVF attempts, including drugs. One of Quebec’s rationales offered was to help boost the population, while Ontario cited a desire to lower the healthcare costs associated with multiple births. The motivations of the New Brunswick government have not been made explicit, beyond a desire to “alleviate the financial burden of those dealing with infertility,” a burden which can be prohibitively expensive. 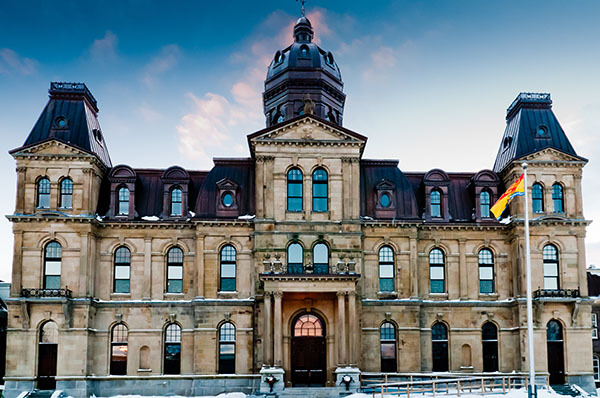 However, when explored through the larger context of women’s reproductive health and rights in New Brunswick, this new policy reveals troubling provincial priorities. Flemming’s statement followed on the heels of another significant announcement in the province. After 20 year in operation, the province’s only abortion clinic—the only private clinic in the Maritimes—would be closing its doors at the end of July, citing a lack of government funding. The clinic has been denied government assistance since it opened its doors, and relied on support from Dr. Henry Morgentaler, until his death in 2013, to make up the financial shortfall. The conditions under which abortion services are provided in New Brunswick are dictated by Regulation 84-20 of the Medical Services Payment Act. To be covered under provincial health insurance, the regulation, enacted in 1989, first requires that a woman must obtain written permission from two doctors stating that her abortion is “medically necessary.” She must then secure an appointment with a gynecologist at one of only two hospitals currently providing services in the province (clinics are not covered under the regulation). Finally, the appointment must take place before she reaches her twelfth week of gestation. These barriers prove insurmountable for many women. Reproductive Justice NB, whose central goal is to repeal Regulation 84-20, has organized a crowd-funding initiative in an effort to re-open the clinic. The response has been overwhelming. Within a matter of days, they reached their one hundred thousand dollar goal, and have since doubled their goal in hopes of purchasing the equipment currently at the clinic. However, despite their efforts, the current Conservative government has refused to meet with the group. With an election looming in the province, Liberal leader Brian Gallant has paid some lip service to the issue, but has failed to take a clear stance on changing Regulation 84-20, stating only that he will “move swiftly to address this issue in a comprehensive way” if elected. If it were part of a larger commitment to create a spectrum of women’s reproductive health services, the infertility fund could be laudable. However, when contrasted with the government’s long held, paternalistic stance against the creation of substantive access to abortion, it suggests more alarming commitments. Validating the desires of women to have children by investing money in expensive (often unsuccessful) treatments, while simultaneously denying the rights of those facing unwanted pregnancies by failing to provide relatively minimal financial support, suggests deeply troubling views of women’s reproductive rights. If pregnancy is the only reproductive choice the government supports, what happens to women who do not want to reproduce, or are unable or unwilling to support a child? What do these policies say about the value of women’s contributions to the community? Moreover, without clear policy guidelines to protect the health of women who undergo infertility treatment, what message is the government sending about the importance of women’s health? When coupled with a range of substantive reproductive health services—including access to reproductive health education, birth control, and abortion—government support for infertility offers women more choice in their reproductive lives. But when IVF procedures, which are unreliable, expensive, and invasive, are not provided in tandem with safe, inexpensive, and reliable services that protect women’s rights not to reproduce, we should ask ourselves about the motives behind these changes and the larger statement they make about the value of women in society. Rachael Johnstone is an Assistant Professor at the Bader International Study Centre (Queen’s University), in East Sussex, England. ← Folic Acid Supplementation in Canada: What is the Right Dose?